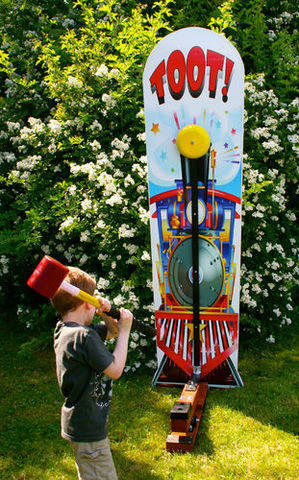 Children of all ages love to show off their power skills with our Kiddie Striker which stands 7ft tall. You’ll find kids lining up to give it a try. And they won’t go away disappointed either, because our Kiddie Striker rings every time! Set-up by delivery staff.